Ik ben in een romantische stemming vandaag...en daar passen deze plaatjes uit het boek van Atlanta Bartlett die het inspirerende At home with white schreef, prima bij. I'm in a romantic mood today...these gorgeous images are from the lovely book At home with whiteby Atlanta Bartlett. 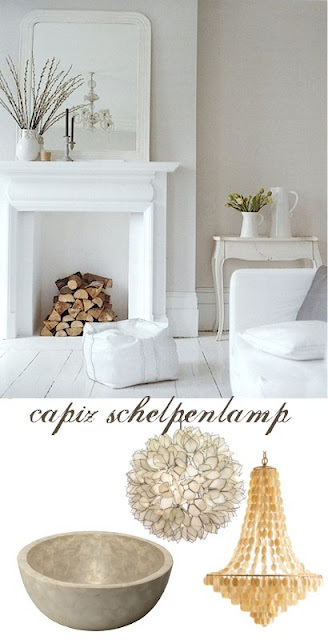 I love the Capiz Shell lamp in the corner, what a dramatic eye catcher! 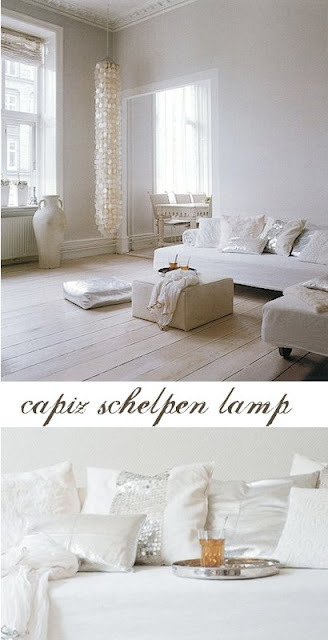 It fits great in a all white interior like this one but it's also pretty against a darker wall.